Amid the growing popularity of short-term tourist rentals, strata corporations have been having mixed experiences with strata lot owners using their units to for these types of accommodation. Persons in the corporate area of Kingston and St. Andrew, as well as in popular tourist areas such as Ocho Rios, Montego Bay and Negril, have recently been able to tap into a new tourism market by charging per-night rental rates that are more often than not, more affordable than traditional hotel rates. Houses, apartments or even single rooms are being rented on a day-to-day basis and these operations seem to be performing well for their proprietors. A strata unit being rented on a day to day basis could have both positive and negative ramifications for a strata complex. These rentals could increase the market value of units in the strata complex from the perspective of the income-based approach to the valuation of the units. Rental income could provide strata owners with an additional source of income, which could place them in a better position to afford their strata maintenance fees. Where these types of operations are performing well, a strata corporation could also explore the option of inviting proprietors to place their units in a managed rental-pool as a means of sharing the ‘gains’ within the complex. These rentals could potentially compromise the safety of the complex by encouraging a number of unfamiliar persons coming in and out of the complex at irregular hours. Strata Corporations that have strata units being operated as bed and breakfasts should smell the coffee- the Strata Corporation needs to meet to arrive at a policy or a decision as to the approach they will take to these operations. What is the strata’s appetite for these rentals? Are they minded to allow, or minded to disallow the carrying on of such enterprises? There is no right or wrong answer. The answer to the question for any given strata will vary based on its particular character and circumstances; what is important is that the answer be adequately reflected in the strata’s by-laws. As by-laws go generally, the prescribed by-laws in the First Schedule of the Registration (Strata Titles) Act states that a proprietor shall not use or permit his strata lot to be used in any manner or for such purpose as shall cause a nuisance or hazard to the occupier of any other strata lot (whether a proprietor or not) or the family of such occupier. This means that bed and breakfast operators in stratas should take care to ensure that their guests are well behaved and that any safety issues are adequately addressed. It would also not be surprising to find a by-law that restricts the carrying on of a trade or commercial activity in residential stratas. Where such a by-law exists, the interpretation to be applied to it is very important. Where a strata has determined that they would like to allow such rentals, the by-laws could be amended to require proprietors so operating to adhere to best practices which ensure security and high standards. Requiring that best practices be adhered to could be a good way for the strata to ensure that its reputation (or market value) is not damaged by complaints regarding these enterprises. Strata corporations should ensure that they consult an attorney who is knowledgeable and experienced in strata law practice to assist them with any possible amendments to their by-laws. 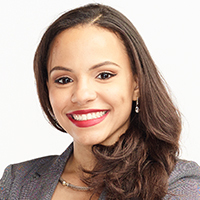 Gabrielle Grant is an Associate at Myers, Fletcher & Gordon and is a member of the firm’s Property Department. Gabrielle may be contacted via gabrielle.grant@mfg.com.jm or www.myersfletcher.com. This article is for general information purposes only and does not constitute legal advice.